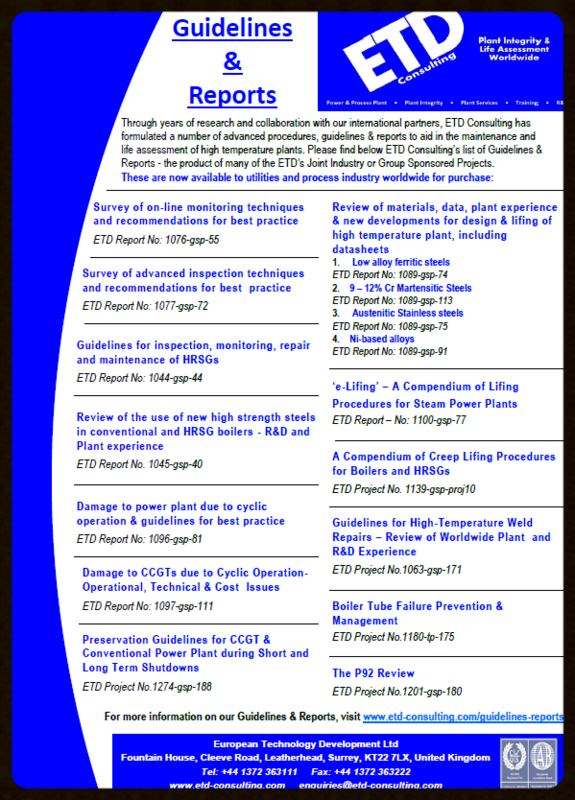 Through years of research and collaboration with our international partners, ETD Consulting has formulated a number of advanced procedures, guidelines & reports to aid in the maintenance and life assessment of high temperature plants. To view a full list of our Guidelines & Reports, containing live links to the Executive Summaries and Contents Pages, please click on our information brochure. For sales enquiries or any further information please contact us.